Zaher Jabarin is a senior leader of Hamas, and currently serves as the group’s top financial officer.Judah Ari Gross, “Shin Bet accuses Turkey of allowing Hamas to raise, launder money,” Times of Israel, February 12, 2018, https://www.timesofisrael.com/arab-israeli-man-turkish-citizen-arrested-for-helping-to-fund-hamas/. Jabarin was a convicted terrorist held in Israeli custody until 2011, when he was released as part of a prisoner exchange deal for captured Israeli soldier Gilad Shalit. Following his release, he resettled in Turkey and rejoined Hamas as a senior leader.Judah Ari Gross, “Shin Bet accuses Turkey of allowing Hamas to raise, launder money,” Times of Israel, February 12, 2018, https://www.timesofisrael.com/arab-israeli-man-turkish-citizen-arrested-for-helping-to-fund-hamas/. He served as a senior military commander for Hamas, working with deputy Hamas leader Saleh al-Arouri to promote terrorist operations in the West Bank.Judah Ari Gross, “Shin Bet accuses Turkey of allowing Hamas to raise, launder money,” Times of Israel, February 12, 2018, https://www.timesofisrael.com/arab-israeli-man-turkish-citizen-arrested-for-helping-to-fund-hamas/; Yoav Zitun, “Turkish law lecturer aided Hamas, deported from Israel,” Ynet News, February 12, 2018, https://www.ynetnews.com/articles/0,7340,L-5109465,00.html. 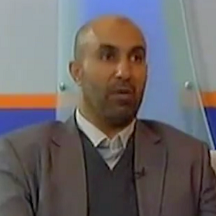 In 2012, Jabarin gave an interview to the Hamas-affiliated Al Quds TV about the group’s efforts to indoctrinate youth to become suicide bombers.“Zaher Jabarin, Hamas military commander, Talks About Indoctrination to Jihad,” YouTube video, posted January 20, 2013, https://www.youtube.com/watch?v=qX4X07o56OA. In August 2017, he represented Hamas in a delegation meeting with members of Iran’s Islamic Revolutionary Guard Corps in Tehran.Dov Lieber, “Hamas said to meet with Iranian Revolution Guards in Tehran,” Times of Israel, August 8, 2017, https://www.timesofisrael.com/hamas-said-to-meet-with-iranian-revolutionary-guards-in-tehran/. As the top financial manager for Hamas, Jabarin has recruited individuals to facilitate money laundering operations for the group in Turkey.Judah Ari Gross, “Shin Bet accuses Turkey of allowing Hamas to raise, launder money,” Times of Israel, February 12, 2018, https://www.timesofisrael.com/arab-israeli-man-turkish-citizen-arrested-for-helping-to-fund-hamas/; Yoav Zitun, “Turkish law lecturer aided Hamas, deported from Israel,” Ynet News, February 12, 2018, https://www.ynetnews.com/articles/0,7340,L-5109465,00.html. Two of these individuals, Turkish national Cemil Tekeli and Arab Israeli citizen Durgham Jabarin (no relation), were arrested in Israel in January 2018.Judah Ari Gross, “Shin Bet accuses Turkey of allowing Hamas to raise, launder money,” Times of Israel, February 12, 2018, https://www.timesofisrael.com/arab-israeli-man-turkish-citizen-arrested-for-helping-to-fund-hamas/; Yoav Zitun, “Turkish law lecturer aided Hamas, deported from Israel,” Ynet News, February 12, 2018, https://www.ynetnews.com/articles/0,7340,L-5109465,00.html; Anna Ahronheim, “Arab-Israeli, Turkish citizen arrested for aiding Hamas,” Jerusalem Post, February 12, 2018, http://www.jpost.com/Arab-Israeli-Conflict/Arab-Israeli-Turkish-citizen-arrested-for-aiding-Hamas-542411. An investigation revealed that Zaher Jabarin had recruited Tekeli to help Hamas members set up businesses, acquire visas, and obtain commercial property in Turkey.Judah Ari Gross, “Shin Bet accuses Turkey of allowing Hamas to raise, launder money,” Times of Israel, February 12, 2018, https://www.timesofisrael.com/arab-israeli-man-turkish-citizen-arrested-for-helping-to-fund-hamas/. One of these Hamas members, another former Israeli prisoner named Salameh Mar’i, became Zaher Jabarin’s chief aide.Yoav Zitun, “Turkish law lecturer aided Hamas, deported from Israel,” Ynet News, February 12, 2018, https://www.ynetnews.com/articles/0,7340,L-5109465,00.html. Zaher Jabarin and Mar’i both guided the financial activities of Durgham Jabarin, who was arrested three weeks after Tekeli.Judah Ari Gross, “Shin Bet accuses Turkey of allowing Hamas to raise, launder money,” Times of Israel, February 12, 2018, https://www.timesofisrael.com/arab-israeli-man-turkish-citizen-arrested-for-helping-to-fund-hamas/; Yoav Zitun, “Turkish law lecturer aided Hamas, deported from Israel,” Ynet News, February 12, 2018, https://www.ynetnews.com/articles/0,7340,L-5109465,00.html. They reportedly disguised their contact as commercial activity for a Hamas-owned company called IMES.Yoav Zitun, “Turkish law lecturer aided Hamas, deported from Israel,” Ynet News, February 12, 2018, https://www.ynetnews.com/articles/0,7340,L-5109465,00.html. Upon his arrest, authorities found that Durgham Jabarin was planning to transfer 91,000 euros to the West Bank, which were reportedly intended to be used to fund Hamas’s military infrastructure.Judah Ari Gross, “Shin Bet accuses Turkey of allowing Hamas to raise, launder money,” Times of Israel, February 12, 2018, https://www.timesofisrael.com/arab-israeli-man-turkish-citizen-arrested-for-helping-to-fund-hamas/; Yoav Zitun, “Turkish law lecturer aided Hamas, deported from Israel,” Ynet News, February 12, 2018, https://www.ynetnews.com/articles/0,7340,L-5109465,00.html. According to Shin Bet, Israel’s internal security service, “investigation findings have revealed wide-ranging Hamas activity in money laundering in Turkey on instruction from Zaher Jabarin.”“Hamas Operations in Turkey,” Israel Ministry of Foreign Affairs, February 12, 2018, http://mfa.gov.il/MFA/ForeignPolicy/Terrorism/Pages/Hamas-operations-in-Turkey-12-February-20180212-53.aspx. “You cannot find a treatment for this weapon [suicide bombings]. With God’s grace, Hamas originated the use of this weapon.”“Zaher Jabarin, Hamas military commander, Talks About Indoctrination to Jihad,” YouTube video, posted January 20, 2013, https://www.youtube.com/watch?v=qX4X07o56OA. “We labored day and night to build the person who will participate in this battle, and indeed after 26 years, today the results are clear and visible to the entire world, that Hamas indeed has succeeded to build in this period of 26 years, what others wouldn’t have succeeded to build in centuries, such a person and such a Resistance. The Palestinian youngsters, the Resistance and Jihad warriors, fight and quarrel over a courageous suicide operation.”“Zaher Jabarin, Hamas military commander, Talks About Indoctrination to Jihad,” YouTube video, posted January 20, 2013, https://www.youtube.com/watch?v=qX4X07o56OA.